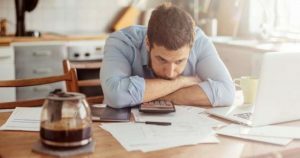 Credit can come in handy if you use it responsibly, but statistics also show that countless consumers find it difficult to manage their credit. According to Motshegare credit providers should give the consumer the necessary documentation in which the terms and conditions are set out together with the relevant costs, such as the cost of credit, the interest rate, service fees, initiation fees, credit insurance, whether a deposit is required, and the number of instalments. Motshegare also says consumers must be honest when they supply information for an application for credit in order to enjoy the protection of the National Credit Act. “Before signing an agreement, consumers must make sure of the interest rate and any other costs that will be levied”. Borrow as little money as possible ─ perhaps it is good if you borrow money for your child’s education or a house, but to borrow money for things such as groceries of luxury vacations can result in a lifetime of debt. When you sign a credit agreement, make sure all the necessary information appears on the agreement so that it will not be possible to add more information after you have already signed. Make sure you are familiar with the terms and conditions of the credit agreement. It is advised that credit insurance be taken out. Draw up a monthly budget and adhere to it ─ make sure that you will be able to pay your new debt after you have covered all your other expenses. Pay your debt on time, otherwise it could affect your credit rating. Regularly check your credit report so that you can identify errors.